MAPA is a non-profit organization that promotes all forms of competitive canoe and kayak paddle sports in the Mid-Atlantic area. MAPA sponsors and participates in many paddle sport events that encompass all aspects of canoeing, SUP and kayaking. Competitions and practices are held in every type of water condition from flat water to white water. MAPA is affiliated with the American Canoe Association (ACA) and all active members receive all the benefits of ACA membership at a greatly reduced rate. MAPA actively participates in environmental, public access and safety programs and encourages recreationally and athletically motivated persons to participate in paddle sports. MAPA values are Camaraderie, Coaching, Conservation and Competition in all forms of paddle sports. See our Contact page if you’d like to talk to a member about current activities. MAPA was formally established in 1985 by a group of paddlers returning from Philadelphia after winning the National Dragon Boat championships and the right to represent the United States at the 1986 World Dragon Boat Races in Hong Kong. Their stunning upset victory in Philadelphia is featured in the book “Pumping Granite” by Mike D’Orso, Texas Tech University Press. The initial group consisted of Kirk Havens, Harry Finley, Lyle Varnell, Jim Farrington, Charlie Barton, Randy Drake, Joe Edwards, Randy Singer, and Kim Whitley. A constitution and bylaws were written founded on the guiding principle “to promote and foster all aspects of canoeing”. The Mid Atlantic Paddlers Association was chosen as the name and officers were elected. The group then prepared for the World Dragon Boat races in Hong Kong and was trained by Olympic Gold medallist Frank Havens and his brother Olympian Bill Havens. In the summer of ’86 the team competed in Hong Kong and place 5th in the World. Upon returning from Hong Kong, MAPA decided to try outrigger racing and a group went to Hawaii to compete in the 1987 National Outrigger Championships on Oahu. After that exciting event, MAPA was hooked on dragon boat racing and outrigger racing, returning to compete many times in dragon boat races in Philadelphia and New York and the Molokai outrigger races in Hawaii. MAPA made a major effort to acquire an outrigger in which to train. In 1987 MAPA obtained its own outrigger canoe. The first newsletter “The Canoeist Quarterly” was published in 1988 and quickly became a popular resource for locating canoeing events around the region. The members at the time were heavily involved in whitewater racing and marathon flatwater racing. In 1989, the group re-organized to better promote various canoeing interests. A new set of bylaws were adopted to become officially incorporated and to qualify as a tax exempt charitable 501 (3) (C) organization and became MAPA, Inc. The directors at the time were Kirk Havens, Harry Finley, Jim Farrington, Charlie Barton, Joe Edwards, Randy Singer, Lyle Varnell, Charlie Strauss, and Randy Drake. Over the next few years MAPA continued to field dragon boat teams and travel to Hawaii to race outriggers. In the early 1990’s the interest in dragon boat and outrigger racing waned and other interests moved to the forefront. MAPA expanded into a number of other areas in which members had interests such as canoe jousting, war canoe racing, triathlons, and canoe camping. Members regularly competed at the Whitewater Open Canoe National Championships and at the National Flatwater Championships. Local races were organized to promote canoe racing in the region. At one point, MAPA had a regular fall canoe camping trip down the Shenandoah River. 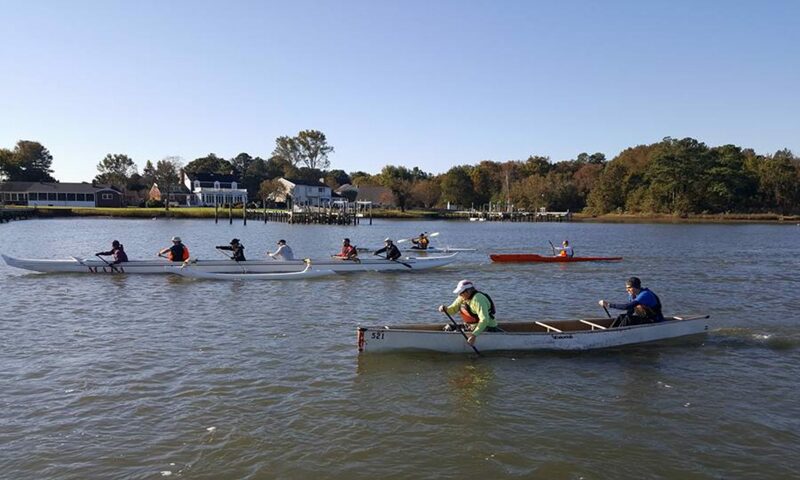 MAPA also established a partnership program with Old Dominion University in Norfolk where members volunteered to take disabled ODU students out in canoes. For many of these students, this was the first time they had experienced gliding across the water. Over the years MAPA’s membership has included Olympic gold medallists, Olympians, world champions, and national champions with a diverse array of paddlers from pro-racers to amateur enthusiasts; from members who have been acknowledged as the youngest competitors at races (and oldest!) to a woman who has maintained an undefeated, six-time national canoeing title. In all these endeavors, MAPA has strived to be competitive and to teach others the enjoyment of canoeing in general and racing in particular. Over the years, some of the activities have grown while others have faded. In the past MAPA was mostly involved in canoeing events, more recently kayaking activities have become popular. Outrigger canoeing is one area where interest has been revitalized. As membership expands, interests in various aspects of paddling have expanded as well while holding true to “promote and foster all aspects of paddling”.